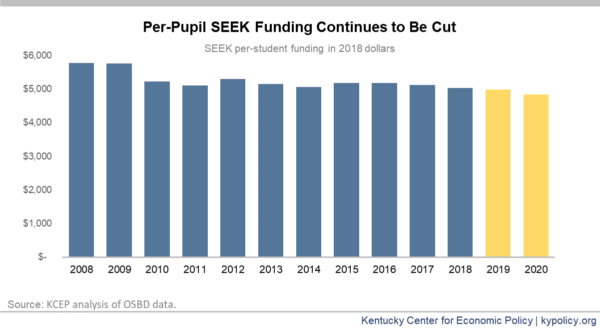 The Kentucky Center for Economic Policy says more than a decade of state funding cuts present challenges to public school districts in Kentucky. The cuts “threaten the quality of P-12 education and will contribute to the widening per-pupil funding gap between the state’s poorest and wealthiest school districts,” writes Ashley Spalding. The article links to research that shows adequate funding makes a difference in student success. Kentucky ranks 3rd worst in the nation for per-student cuts to school funding since the Great Recession, it notes. Read the full report here, which includes a look at how the state’s underfunding of school transportation contributes to the decline in SEEK funding. 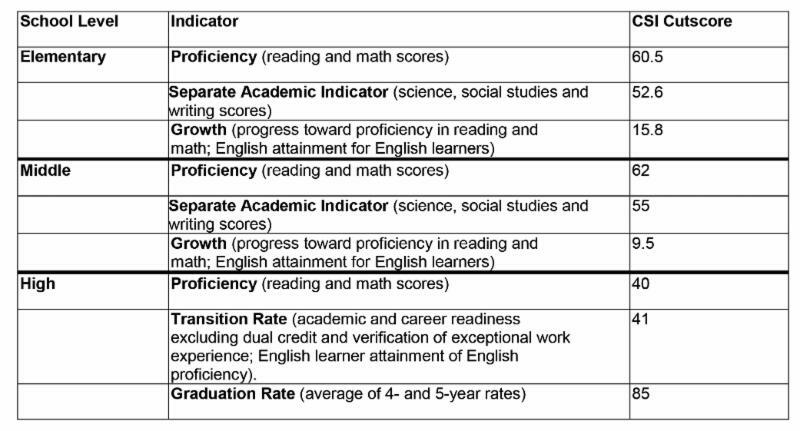 The Kentucky Board of Education approved school performance levels for federal and state accountability earlier this month. Schools in the bottom 5 percent at each level (elementary, middle and high school) or high schools with a four-year graduation rate below 80 percent will be identified for Comprehensive Support and Improvement (CSI). Schools with any student group performing as low as CSI schools will be labeled for Targeted Support and Improvement (TSI). About 50 schools are expected to be designated for CSI and about 45-50 percent of all schools are expected to be designated for TSI. “To be clear, a school’s designation as TSI does not mean the school is failing or a low-performing school. It does mean that work remains to be done with raising the achievement levels for all groups of students, and it makes reducing the disparities between the performance of student groups a top priority,” Interim Commissioner of Education Wayne Lewis said. 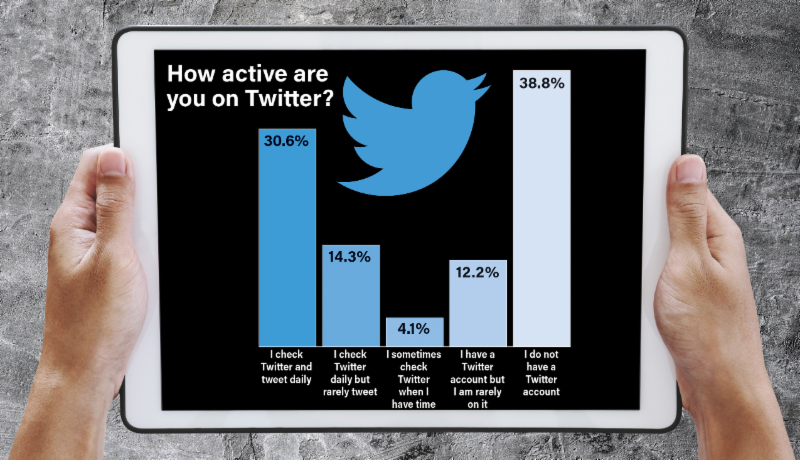 In a previous edition of KSBA Aware, we asked what school safety topic are you most interested in learning more about, and about one-third of respondents said mental health. 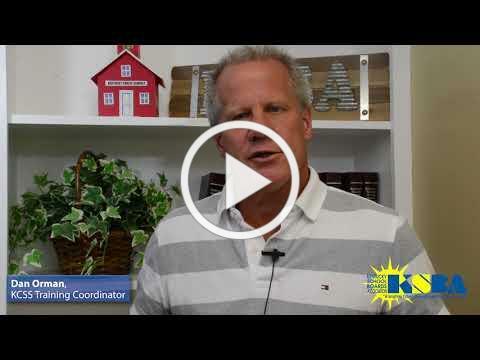 In this video, Dan Orman, the training coordinator for the Kentucky Center for School Safety, discusses ways to integrate mental health awareness into schools. KSBA regional meetings are underway and several of Kentucky’s elected legislators have joined us for dinner and training. 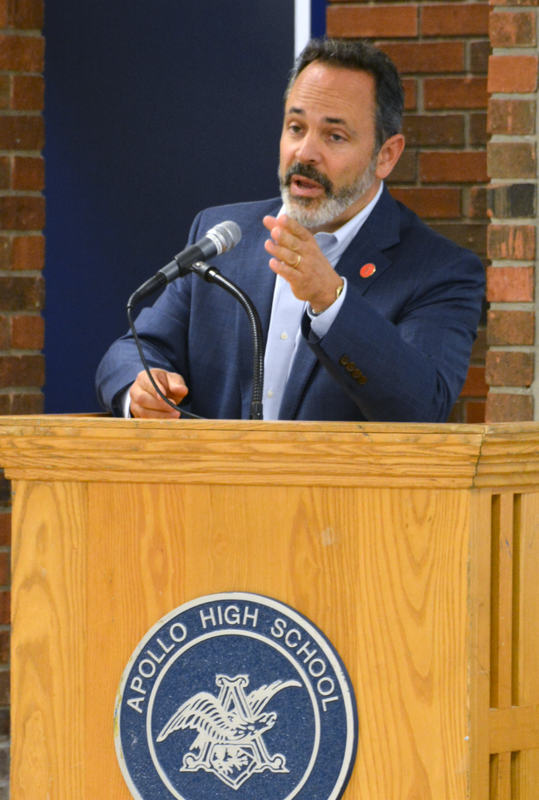 At the Sept. 11 meeting of the Second Region, hosted by Daviess County at Apollo High School, KSBA was pleased to welcome Gov. Matt Bevin, who spoke to board members about pension reform, including the lawsuit pending before the state supreme court. Bevin also added his support to reforming principal selections, school-based decision making councils and teacher tribunals. Thank you to our regional chairs, their superintendents and the dedicated staff and students who help to make these events so meaningful. View the regional meeting schedule. Pamela Morehead-Johnson, vice-chairwoman of the Eminence Independent School Board, has been appointed to the board of directors for the National School Boards Action Center (NSBAC). Morehead-Johnson was one of only two state association members selected from a nationwide pool of candidates. She is the subject of this month’s Beyond the Board. 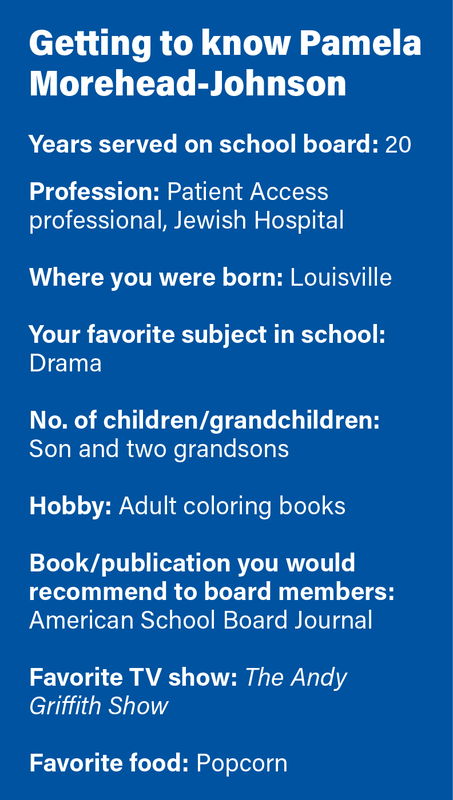 What are you looking forward to the most about your appointment to the NSBAC Board of Directors? I’m excited to be able to represent Kentucky and I hope that I can stand for the students, teachers and staff. I look forward to communicating with and learning from the legislators. 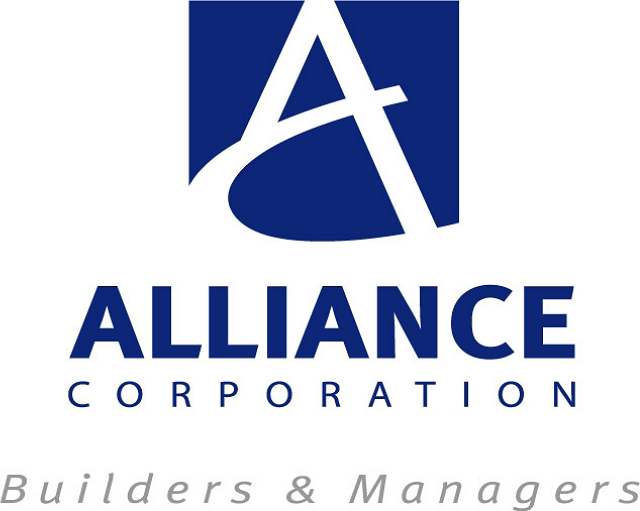 How do you develop a good working relationship with your fellow board members? I have the least seniority on our board so 20 years sounds like a lot. It is not, because they have a lot more! The key has been listening and learning and the purpose is to work together for the kids. It’s not about us. It’s not about the buildings. It’s about the kids and their education, so we work together. We listen to each other. We vote – most of the time unanimously – after we have discussed the issues. What is one piece of advice you would give newer school board members? One thing that I think is very helpful is a mentor, someone who can show you the way and explain things, like what classes you need to take and what is most important. You need someone to lead you because there is a lot to learn and a lot to do. There are a lot of opportunities, but sometimes new board members are not aware of them. Make sure that you are aware of everything that you can do that will help your board and help your school district. Do you like the EPSB's decision to eliminate the master's degree requirement for teachers? 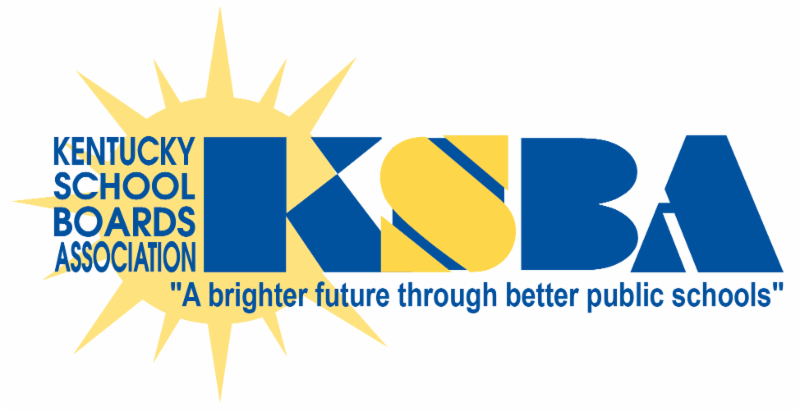 KSBA will hold its Winter Symposium Nov. 30-Dec. 1 in Louisville and is accepting proposals for workshops on topics appropriate to the governance roles and responsibilities of public school board teams. Each workshop is 75 minutes in length and proposals must be received by Friday, Sept. 28. If you have questions, email Laura Cole or call 800-372-2962 ext. 1122. The Kentucky Supreme Court will hold a hearing on the state's new public pension law at 10 a.m., Thursday, Sept. 20. The hearing will be broadcast live on KET's KY Channel, KY KET. The hearing will also be live stream ed at www.ket.org/legislature and at https://courts.ky.gov. A replay will also be available on KET's website. This is only the second time the court has partnered with KET to allow a statewide broadcast of its hearings, the Lexington Herald-Leader reported. The first broadcast came in 1989 when the court ruled that Kentucky's education system was unconstitutional. That ruling led to the landmark Kentucky Education Reform Act.